Is Banning Child Labor Really That Controversial? Child labor can’t be outlawed by fiat—it needs to be defeated by economic empowerment for whole communities. Banning child labor seems like a given for any civilized economy, and even the United States—typically wary of international obligations—has supported global campaigns to tackle this low-hanging humanitarian fruit. But recent twists in international human-rights politics show that even a “childhood free from work” can be a controversial enterprise. The Trump White House has already sought to dismantle restrictions on child labor and other abuses in foreign conflict-mineral industries. As part of a broader repeal of the Dodd-Frank financial reforms, a recently leaked draft executive order would suspend an obscure provision to restrict international trade in minerals like tin and gold, which are trafficked in conflict zones by militia groups linked to massive human-rights abuses, including child labor. Rights groups protested the move, which protects mining multinationals, as a rollback of ongoing international efforts to regulate companies that indirectly profit from child labor and other abuses in Global South supply chains. The idea of empowering children through labor seems like an intriguing idea, as so much of our political lives are structured around our relationship to the workplace. But does it make sense to bridle against the UN’s call for minimum age standards—particularly since “universal” human-rights frameworks are typically more aspirational than real anyway? Is challenging the universality of a child-labor ban a reflection of wider anti-globalization political tensions in recent years, as some Global South and European governments have asserted national sovereignty in resistance to institutions like the International Criminal Court? Activists do broadly seek to deepen the focus in child-labor debates on the agency of children and communities, rather than sensationalist portrayals of Third World victimhood, with kids trapped in brothels and sweatshops. More routine uses of underaged workers actually involve simply hiring underaged teens for adult jobs, or traditional systems of rural household-based labor—generally work performed on a nominally voluntary basis, but in environments of systemic economic oppression. Besides, education is compulsory in most countries only up to age 15, so entering the workforce in adolescence is common across the “developing” world. But does that mean that strict age limits on child labor are counterproductive? India’s recently passed reforms on child labor reflect the moral murkiness that might emerge when carving exceptions into age-based bans. The reforms incorporated significant exemptions, including controversial rollbacks on employment of school-age children in certain sectors not deemed to be extremely hazardous, including broadly defined rural and household-based industrial jobs. Human-rights advocates assailed the law as an erosion of recent progress on child protections, illustrating the kind of slippery slope that often emerges in the shadow of broadly worded UN principles. Oonk notes that any further blurring of social consensus on anti–child labor protections on the international level could erode the political will to enact structural reforms among employers and national policymakers. If age-based standards are eased, he argues, governments could be “encourag[ed]…not to invest enough money in education” if it’s more profitable to have them in the workforce rather than the classroom. Both employers and impoverished parents would be pushed toward a perverse calculation: Why hire a worker who needs to support her family on wages when you can employ her school-aged daughter more cheaply off the books? This discourages families from pressing authorities for greater educational opportunities, exacerbating inequality across society. Nonetheless, both Oonk and Sinha agree with one critique of the UN Convention: More nuance is critical for broadening equitable development opportunities for youth. Instead of “just throwing children out of work,” Oonk argues, childproofing the workforce demands structural reform. Global and national labor agencies and humanitarian organizations have collaborated on intersectional approaches to build “child-labor free zones”: this may include improving labor conditions and bargaining power for parents, pushing a community-wide cultural shift in opposition to underage labor. And industries must be compelled through strong regulations and the establishment of new social norms around long-term educational investment, to reduce the need for short-term exploitation of young bodies. Experts might argue over legal phraseology, but even in a culturally complex world, overall, we’re moving toward a global consensus that no child should ever grow up in a society that does not see their educational future as the highest social priority. 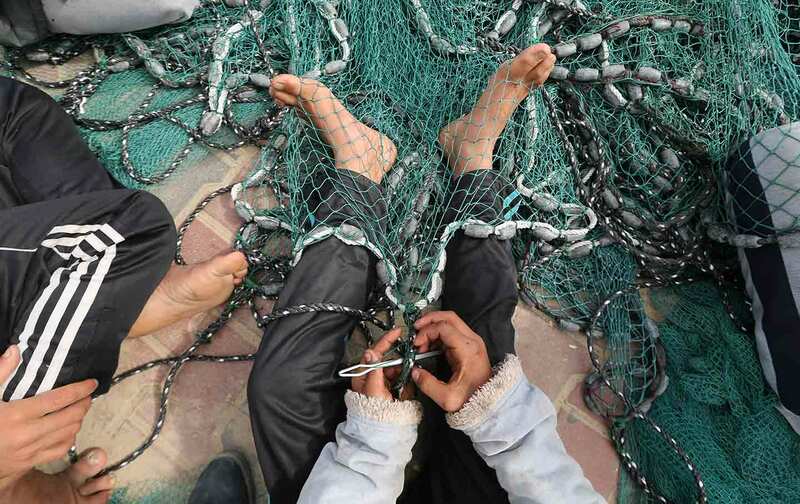 The bottom line on child labor is simply that there needs to be a bottom line.